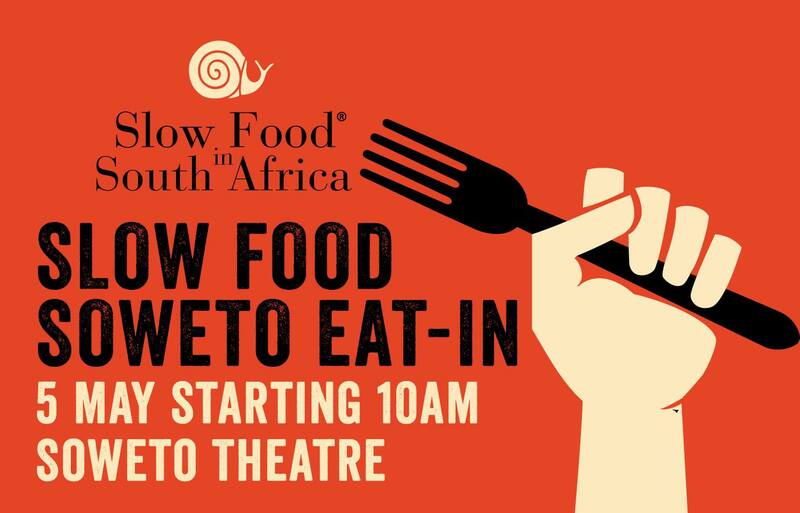 The Rainbow Nation continues its rise in the world of Slow Food, with another successful installment of the Soweto Eat-in. Held at the eponymous theatre in the famous Johannesburg township of Soweto, the Soweto Eat-in is an event illustrating the richness and beauty of South Africa’s cuisine and gastronomy, past, present and future. Cooking competitions and a diverse farmer’s market headlined the event, while a series of important discussions about the future of food provided an educational and constructive backdrop to the day’s revelry. The event was also a fitting occasion for the official launch of the Slow Food Chefs’ Alliance in South Africa, bringing together some of the best chefs in the nation, all committed to providing and fighting for a better, cleaner, and fairer future for all. Shaded under the awnings, and scattered in stalls around the Soweto theatre, the Slow Food Community Markets showcased the variety and creativity of South African cuisine, putting to full use its wide range of delicious and unique regional ingredients. From fish and foraged foods, expressing the simple, powerful flavours of primary ingredients, to more labor-intensive foods like cheese or the Haernetsburg chorizo, an inspired version of the Spanish sausage, using local spices and ingredients to create a distinctively South African flavor. 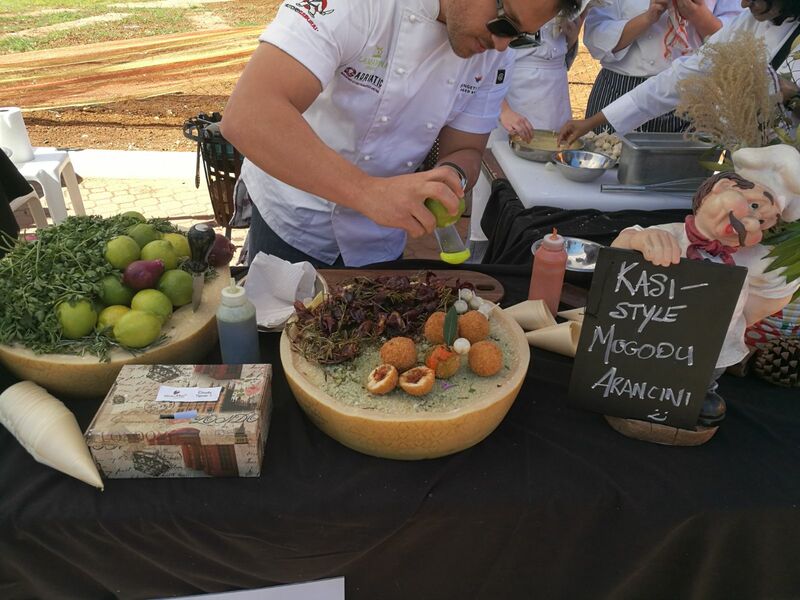 60 Farmers and producers gathered from all around South Africa (with a few comrades hopping over the border from Zimbabwe as well) to form a mix of colors and flavors to excite the senses. A small contingent of artisans and craftsmen from Soweto made their appearance at the market as well, displaying the best of Soweto’s arts and crafts. Notwithstanding the colors and flavors on display at the market, perhaps the most exciting attractions for the Eat-in were the twin cooking challenges, pitting the skills and resourcefulness of local chefs against each other. The first was the Flaming Mile Competition. Chefs got to work cooking a whole Nguni cow over fire. Aside from creating delicious meals, the competition showed how to make use of every inch of the animal, as chefs took a head-to-tail approach. For a 100 Rand, visitors could purchase a platter to be shared among five. In the end Stefano Strafella was judged the winner, but the real winners were those who were able to enjoy his take on oxtail and pap, a novel approach which dressed up the normally humble pairing of offal and pap. Stefano’s win was rewarded with an invitation to Turin for Terra Madre Salone del Gusto in September. The second cooking challenge takes its name from the local slang word for lunchbox: skaftini. The aptly named Skaftini Challenge, set young chefs with the task of creating a healthy, tasty, and thrifty lunchbox. Each lunchbox had to cost 20 Rand or less and contain a 250ml drink. Unsurprisingly, the skaftini challenge has very important daily applications. As in many places, parents in Soweto have trouble providing their children with healthy and nutritious food, due to cost and access. The challenge was conceived with this in mind, to show that affordable and healthy meals can be prepared, not just via the cooking challenge itself, but with recipes and information for parents to recreate the skaftinis at home. Contestants were invited from the eight local cooking schools, each providing interesting and clever takes on a traditional lunchbox meal. The skaftinis were sold to visitors on the day, allowing people to sample the food and decide for themselves how tempting this would be as a lunch for discerning school kids. Ultimately, the skaftini that captured the hearts of the judges was that envisioned by the students from HTA. One lucky student from the winning school, will be selected to join Stefano Strafella in Turin at Terra Madre Salone del Gusto September, withe school receiving an invitation in recognition of the victory. The day was not just dedicated to revelry and fun though, as tempting as that may have been! The iZindaba Zokudla Free People’s Conference was a crucial element of the day’s proceedings, gathering representatives from all around South Africa, for important discussions about food. 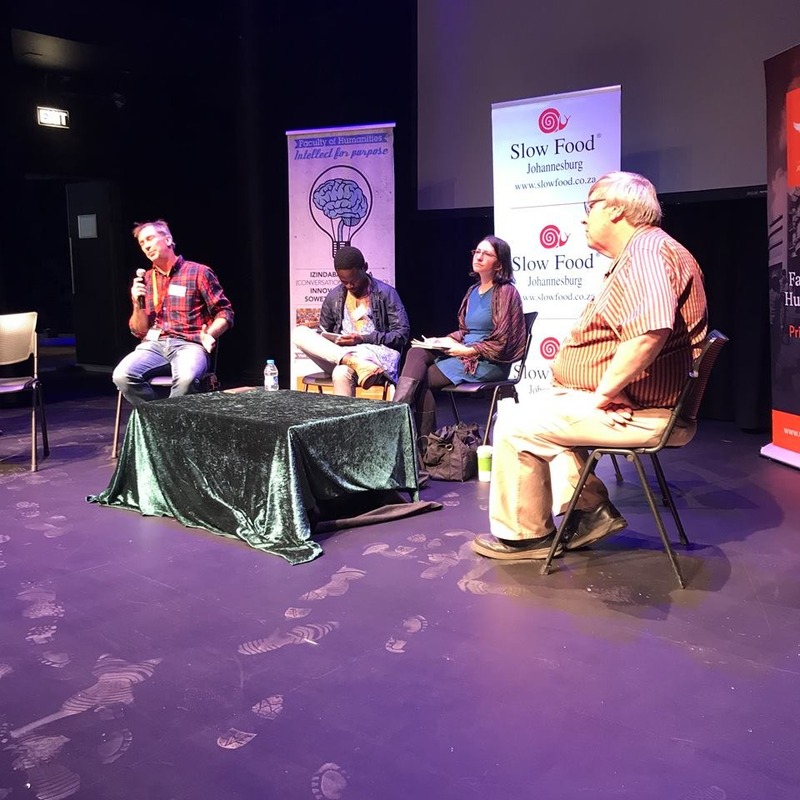 Organized in conjunction with the University of Johannesburg, the conference featured six different topics, each debated by a different panel of four experts chosen from the academic, activist, and farming communities. The topics ranged from the role of technology in modern farming to the power and value of the knowledge of indigenous peoples. As the recent launch of the ZA website and events like the Soweto Eat-in show, South Africa’s network grows and strengthens. 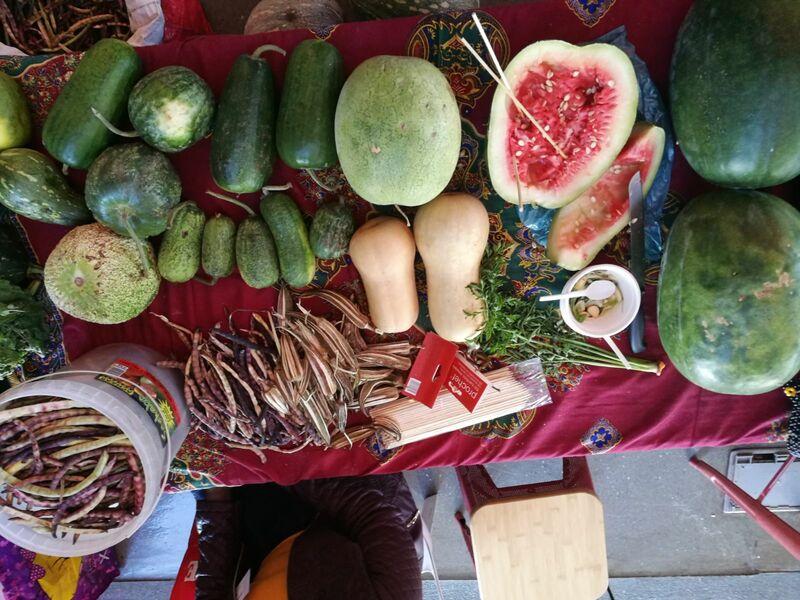 The success of the Eat-in is a testament to the committed and dynamic leadership shown that Slow Food in South Africa enjoys, and spells good news for the future of the movement there.